First, a note on hydration…. Here’s what’s going on this month at CFD! Today, June 1st! Our Dynamo Pre-Kids, Kids, Teens programs kick-off with extended hours M/W/F! Dynamo Pre-K (3-4) starts at 4:00p, Dynamo Kids (5-11) starts at 4:40, and Teens at 7:30pm (6:30p on Fridays) Semester prices are $200, $225, and $225 respectively. June 7th – The 6-week Olympic Lifting cycle starts at 7:30p T/Th. 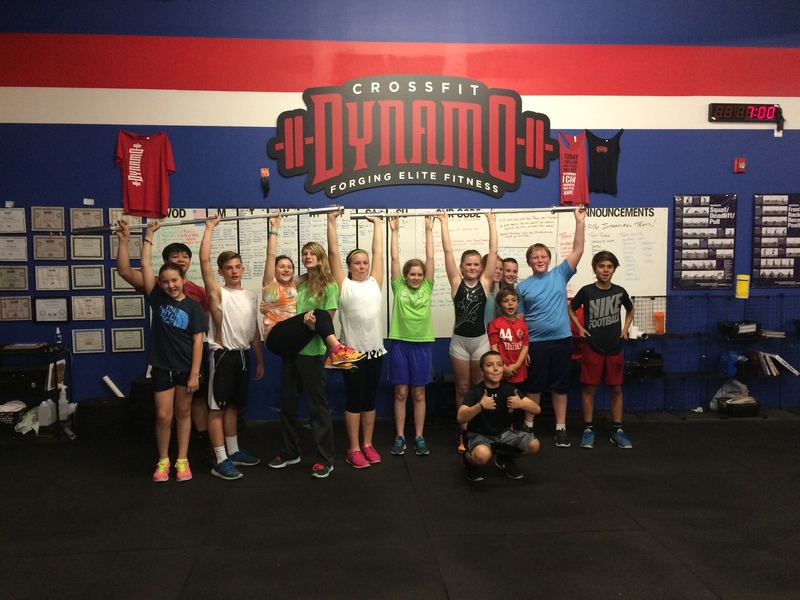 We saw great strides from our athletes taking this class in April/May! 0915 Bounce House should be upright and ready for play! 1300 Cookout! – Bring a side, Dynamo does the rest! As always, if you have any questions about when classes are “on”, please check the one calendar that rules them all. This entry was posted in Coach's Corner, Newsletter. Bookmark the permalink.